Instagram users have been posting images of the Metropolitan Museum of Art's empty Breuer building in New York, before the interiors are populated with art works for its opening next month. 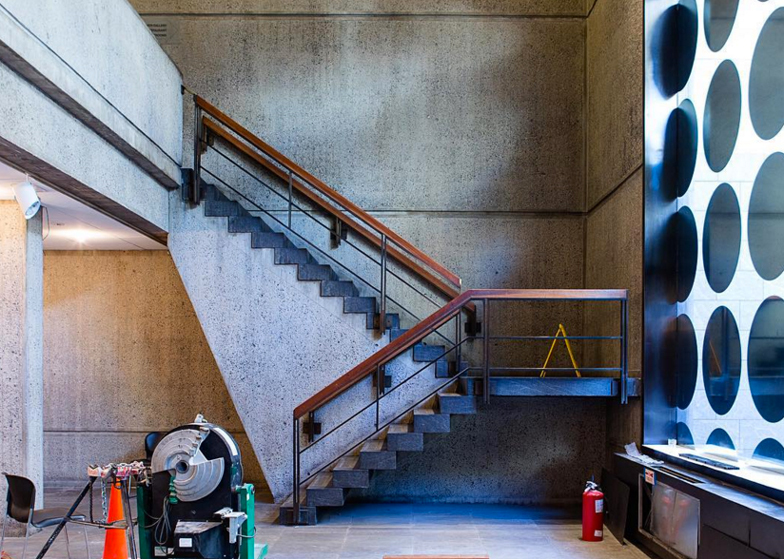 The first official images of the reinstalled interior of the seminal 1966 building by Hungarian Modernist architect Marcel Breuer are not due to be released until March. The Metropolitan Museum of Art (The Met) plans to hold a series of previews for press and supporters before it opens to the public on 18 March. But a number of Instagram users, including critics, architects, and curators, have been given access to the interior during the transition and have shared images of the museum's lobby lighting, concrete staircases, trapezoidal windows, and other distinctive features. The Met is borrowing the building for eight years, while its existing Modern art wing is demolished to be replaced with a new extension by British architect David Chipperfield. The building was formerly home to the Whitney Musuem of American Art, which moved into its new Renzo Piano-designed home in Manhattan's Meatpacking district last year. Considered a masterwork of the mid-century Brutalist style, typified by the use of raw concrete, the Breuer building has a top-heavy profile of cantilevered floors stacked above a sunken courtyard. The main entrance is accessed by a bridge. While many Brutalist buildings in the US are facing destruction, Breuer's museum structure is a beloved landmark in New York. In 1966 the late critic Ada Louise Huxtable called it "a mannered tour de force in the current mode of architecture for sculpture's sake". She added that the building was one to savour over time: "The taste for its disconcertingly top-heavy, inverted pyramidal mass grows on one slowly, like a taste for olives or warm beer." It has been rechristened The Met Breuer for its new occupants. The first exhibitions in the space will be Unfinished: Thoughts Left Unfinished, a group exhibition questioning the idea of completeness in art, and Nasreen Mohamedi, a survey of work of the Indian abstract artist. Among the images that have appeared on Instagram of the interior are a photograph by architecture critic Alexandra Lange. Her picture shows the staircase leading to the lower level that previously contained the cafe and a temporary gift sales area, which now appears to have been cleared. The Met's architecture and design curator Beatrice Galilee also gave a hint of an installation by landscape designer Gunther Vogt set to open in the sunken courtyard. The Met, the largest art museum in the United States, recently unveiled a new logo by Wolff Olins – its first since the 1970s.